Antonella Terranova is the partner in charge of the Rome office since 1995. She started her professional practice at the Avvocatura Generale dello Stato (Office of the State Legal Service). She has developed an in-depth experience in the fields of administrative, tenders and public procurement, pharmaceuticals, EU and antitrust, real estate, sports law and regulatory law in general. With specific reference to antitrust law, Antonella frequently handles merger filings, defence in cartels and abuse of dominance cases, self-assessment of restrictive agreements and practices. She has also significant experience in private enforcement actions both follow-on and stand-alone, as well as unfair commercial practices falling within the competence of the Competition Authority. She has been retained for the defence of undertakings charged with forming cartels and has experience in proceedings before the European Commission, the General Court and the Court of Justice. As concerns public procurement and tenders, Antonella advises domestic and multinational companies in relation to the preparation of bids, award processes as well as in the subsequent challenges before the Administrative Courts (Regional Administrative Courts, Council of State and Cassation Court). In particular, she has assisted multinational companies in a number of industry sectors such as pharmaceuticals, medical devices, healthcare products, betting and gaming, luxury, construction and retail. Antonella is a frequent speaker at conferences and EMEA chair of the Competition and Distribution Practice within Interlaw, a worldwide leading legal network, a member of the Italian Society of Administrative Lawyers and the Italian Antitrust Association (AAI), and the author of numerous publications. She is regularly mentioned on Legal500 in the Administrative Law and EU and Competition practices. 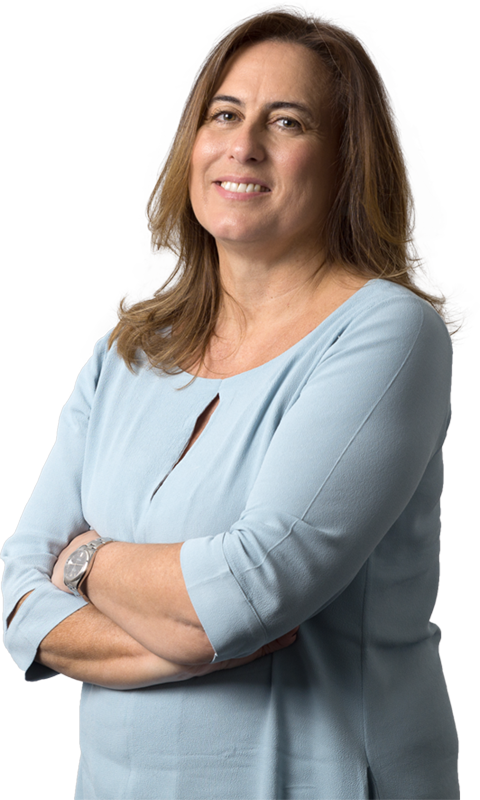 Antonella has been from 2007 to 2015 Prosecutor of the Italian Golf Federation (FIG) and from 2015 she is the President of the Federal Tribunal of the Federation. De Berti Jacchia Franchini Forlani annuncia l’ingresso nella sede di Roma di una nuova associate, l’avvocato Alice Viscomi, che entra nei team di diritto amministrativo ed EU&Competition. Assisted a leading German medical device manufacturer, who participated in various public tenders, in all procedural aspects and thereafter before the Administrative Courts for defending the outcome of the awards and/or challenging awards to other tenderers. Drafted clinical trial agreements (phase II) of pharmaceutical products for negotiations with public hospitals. Regularly representing and advising a leading personal care products manufacturer in relation to a number of regulatory, labelling, pricing and distribution matters and issues. Assisting the Italian subsidiary of famous worldwide luxury watches group in all construction contracts and related town planning features regarding the demolition and reconstruction of a large building in Milan destined to house the brand-new national afer-sale assistance centre and watchmaker school. Currently assisting and representing the Italian subsidiary of US multinational Universal Corporation, the world-leading tobacco merchant, in the defence of a private antitrust enforcement action in the Italian Courts (2012-2015). Assisting a national consortium for the development of urban aluminum recycling centers in relation to the newly adopted Ministerial By-Laws scheme for consortia, amongst others, in a pending judicial challenge before the Latium Regional Administrative Court and the Council of State. Regularly advises and represents the main Italian subsidiary of a UK/US Big Pharma Group, in litigations before the Administrative Court of Latium on the judicial challenge of the rejection of complaints filed by third parties before the Italian Competition Authority. Representing and advising the former manager of the passenger, cruise and leisure (non cargo) port of Bari. The company was the holder of a concession from the Bari Port Authority to manage and run the facility. After it was adjudged bankrupt, a number of legal actions were filed in the Civil and Administrative Courts, as well as before the Court of Auditors, to determine the amount of past due rents and concession fees, and certain damages claims. In all these actions, we represented the Receiver of the Bankruptcy. Currently advising a leading household products manufacturer on several administrative law issues, particularly in relation to procuring licenses to set up advertising billboards identifying large retail centers throughout the country, and in proceedings before a number of Regional Administrative Courts and the Council of State. Reconstructed all regulatory legislation and provisions on electronic cigarettes in Italy after the implementation of new Directive 2014/40/EU. Worked with the real estate divisions of the world famous consumer furniture and household goods company since the opening of their first store in Italy in the early 1980’s. More specifically, the Firm works with the Client Italian subsidiaries and other non-Italian affiliates, assisting them on issues of building of new stores and real estate retail, as well as a variety of regulatory, administrative and town planning issues connected to the opening and operation of their 20 stores and storage depots. Currently advising and representing the Italian subsidiary of a multinational company active in the medical device market on a broad range of procurement issues in relation to their participation to public tenders; this covers the tendering phase, the award phases and, in certain instances, the contentious post-award phases in the Administrative Courts. Currently assisting and advising the Italian subsidiary of famous worldwide luxury watches group, in relation to alleged dominance and refusal to deal issues and a broad variety of selective distribution and vertical issues (2011/2014). Currently advising a US tobacco multinational in relation to the continuing antitrust assessment of horizontal sourcing and processing contracts in Italy. Currently advising and representing this leading Italian multinational operating in the construction and infrastructures sector, in cartel proceedings instituted in Greece. Advised and represented a famous worldwide luxury watches group and its Italian subsidiary in relation to numerous issues of (a) selective distribution and spare parts policies, including assessment of alleged refusal to sell and dominance complaints, (b) ban on internet sales of Luxury goods in selective distribution systems, and development of EU case law and decision making practice. Currently advising a Municipality before the Council of State in actions regarding the opening hours for Videolotteries shops. TERRANOVA A. – PULCINI V. – D’ANGELO V.
TERRANOVA A. – DELLI SANTI R.